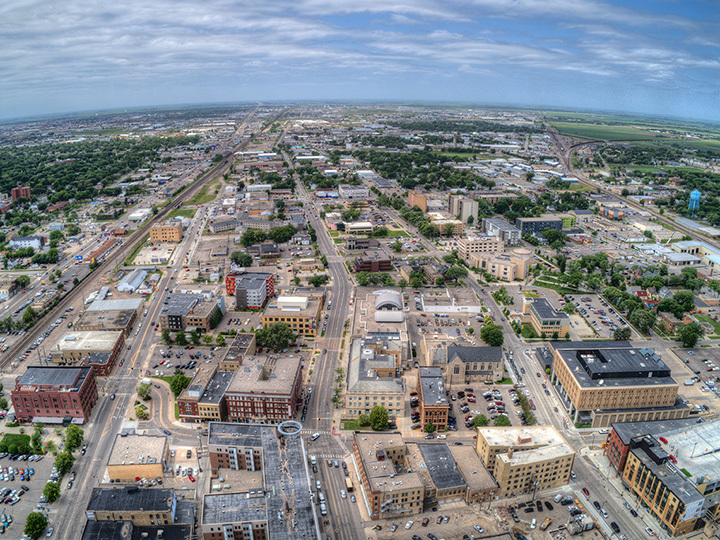 The most populated city in North Dakota, Fargo is one of the top places to visit in the Midwest. This exciting city is diverse with activities and events. In the mood to absorb the local history and culture? How about visiting a destination that’s suitable for everyone in your family? Fargo has plenty for you to explore. Here are just a few of our favorite things to do in the city. Bonanzaville USA is truly a must-see attraction when visiting the Fargo area. This authentic pioneer village has buildings that offers a glimpse into the life of locals from centuries ago. Buildings on the site date back to the mid 1800s before North Dakota was even a state and include the Arthur Town Hall, built in 1890s in which townspeople watched movies, held plays, and attended meetings; the Bjerklie Drug Store from Gilby, North Dakota; the Brass Rail Saloon and Hotel, a typical 1800s small hotel with original furnishings; replica of the 1920s Cass-Clay Creamery from Kenmare, North Dakota; and over a dozen more! Admission to this fascinating piece of history is only $12 for adults, $10 for seniors and military members, $6 to students from age six to 16, and free for kids aged five and under. Since opening almost two decades ago, Thunder Road Amusement Park has grown to become the go-to place for non-stop fun in Fargo. Attractions include two 18-hole mini golf courses, a 1,000-foot go kart track, bumper cars, batting cage, a 5,000-square-foot and multi-level laser tag arena, a full arcade with dozens of games, and more. After a long day of fun, stop in at the park’s cafe and choose from the limited food menu, which includes a variety of ice cream and Slurpee flavors. The park is also available for private parties and other events. Call or check their website for more information. Opened almost two decades ago, the Red River Zoo is a favorite in Fargo for families to visit and learn about animals from all around the world. Their huge assortment of wildlife includes Chinese red pandas, grey wolves, North American river otter, armadillos, white faced saki monkeys, two-toed sloth, camels, and more! The zoo is open daily from April through October and open on the weekends for the rest of the year. Admission is free for children under two, $7.75 for those aged two through 14, $9.75 for adults, and $8.75 for seniors. Opened almost three decades ago, the Fargodome is an indoor athletic and event stadium conveniently located on the North Dakota State University campus. The impressive stadium can seat over 25,000 people and is the home stadium of the famous North Dakota State Bison football team. Not only does the stadium host sporting events, but also concerts, Disney on Ice performances, and theatrical productions. Opened by a group of friends interested in homebrewing, Drekker Brewing Company is a uniquely Fargo brewery that takes pride in their North Dakota heritage. Visitors can have a drink and relax or take one of their informative tours. The free guided tours go through the entire brewing process from start to finish. Tours are held every Saturday at noon and includes a tasting session of four beers. After learning about their one-of-a-kind beer, sit down in the taproom and try a glass for yourself! Or try some of their deliciously unhealthy bar food including grilled cheese sandwiches, pretzels, meat and cheese platters, and more. Fargo is world renowned among those interested in aviation due to the highly regarded Fargo Air Museum. This museum has an astounding two hangars full of interesting and otherwise notable aircraft that range from a Wright Brothers’ flyer to the cutting-edge Global Hawk unmanned surveillance aircraft. Not only do they have a huge array of aircraft, the museum also houses one of the region’s largest libraries on aviation history and they frequently host educational seminars and talks. Check their website for a full listing of upcoming events. West Acres Shopping Center is the largest mall in North Dakota and a mecca for shoppers and fashionistas alike! It is easily located on the intersection of Interstate 29 and Interstate 94. There are over 130 stores inside, as well as a children’s playpark and a regional art gallery called The Roger Maris Museum. The huge shopping center has an astounding 950,000 square feet of retail floor space, so there is truly a treasure for all shoppers here! Lindenwood Park is a spacious and scenic park located in the heart of Fargo. It is a hot spot for both families and those looking to just enjoy nature. The multi-use park includes a landscaped campground, a playground for children, five picnic shelters, two softball fields, kayak and bike rentals, and a self-guided walking tour. What better place to start your Fargo adventures than at the Fargo-Moorhead Visitors Center? The helpful and incredibly knowledgeable staff can help anyone find the exact best things to do in the city to fit their preferences. The visitors center is located in a grain elevator just off Interstate 94. Visitors can shop for gifts and tourist trinkets as well as pick up brochures and maps of the local area. Visitors can even take their picture with the infamous wood chipper from the iconic Coen Brothers movie named after the city. Situated inside the expansive West Acres Shopping Mall, the Roger Maris Museum is named after the iconic Major League Baseball player from Fargo who hit a record 61 home runs for the New York Yankees during the 1961 season. The museum was opened in 1984 and has remained free for all visitors. The informative museum includes memorabilia and artifacts from Maris’s baseball career and childhood in Fargo, a replica of the Yankees stadium, and historical footage of baseball games.